Saturday: Movies and madness! - Isle of Man Film Festival - 2017 Saturday daytime: Highlights! After taking a little time off yesterday to welcome our visiting filmmakers and special guests to our sunny little Island, we rose bright and early this morning in time to catch some Manx-made short films on the big screen. 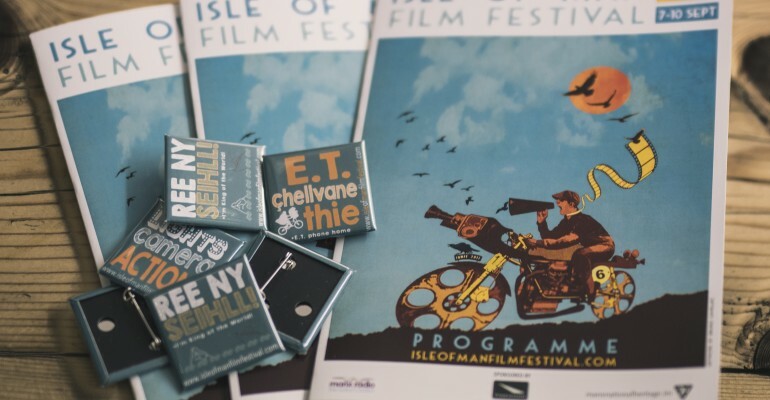 All of the films in this category were either shot on the Isle of Man with Manx crew or were made off Island by Manx filmmakers, and it is testament to our wonderful little island that we were able to screen such a diverse range of films: we might be a small island but we have some big ideas! 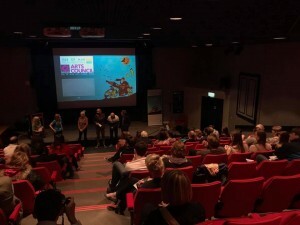 Each film had a great response from the audience and attendees even had the opportunity to ask representatives from four of the films their questions. The shortlisted films are all in the running for the Isle of Man Arts Council Film Prize, but we’ll have to keep you in suspense just a little longer, as the winner won’t be announced until our gala awards, tomorrow night. After gaining some inspiration from our Manx filmmakers, a group of 18 filmmakers joined a workshop led by Richard DeDomenici. Richards ‘Redux Project’ challenges film makers to remake scenes from blockbuster movies with limited budgets and props. 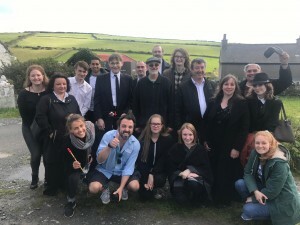 For his Isle of Man Film Festival workshop, Richard chose a scene from Waking Ned (1998) – after an introduction and overview of his work, the group headed to location at Cregneash to shoot. The Redux project involves careful studying of the shot to recreate it as close to life as possible. We were so luck with such a beautiful location! Heading back to the Manx Museum, Richard led a crash-course in speed editing as well as a Q&A for our aspiring film makers. And there you have it, a short film planned, shot and edited in less than 24 hours – done! The redux will be screened tomorrow at our Gala Awards. Can’t wait to see it! If you’re interested in Richard’s work, you can read about it here and here, or follow him on twitter here. Richard’s Film, Being Richard DeDomenici, will screen at the Isle of Man Film Festival International Short Film Competition tomorrow. Our volunteer team have been busy hosting our family friendly screenings at the Manx Museum. We screened one of our very favourite movies – E.T. back-to-back with Stormbreaker, which was shot in 2005 on the Island.